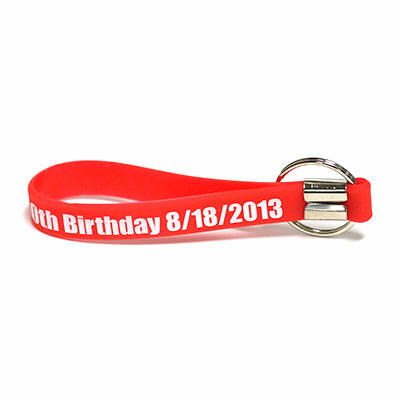 Keychain Wristbands | TJM Promos, Inc.
Add a keychain to your wristbands and keep track of important items. 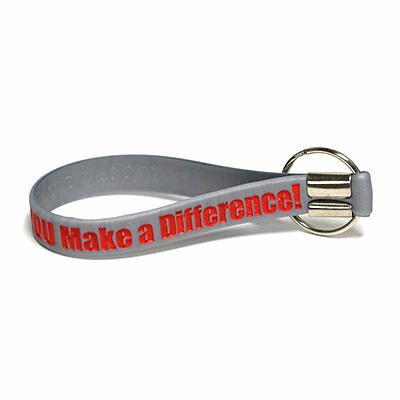 Great for promoting your business, school, or charity cause. Multiple colors and fonts available. 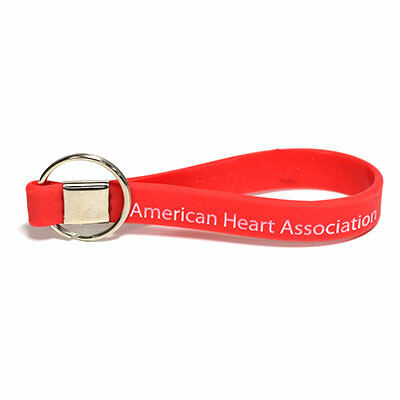 Keychain wristbands help you keep track of important items like keys, discount cards, a cell phone, and more! 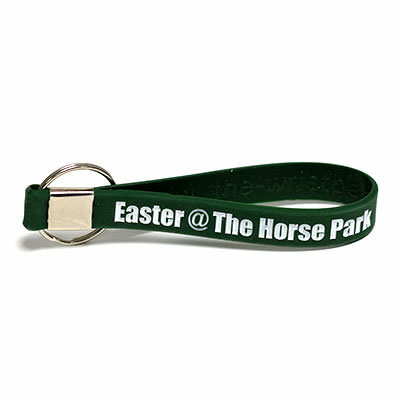 We take a standard wristband in your choice of style and color and add a special crimping device and keychain. 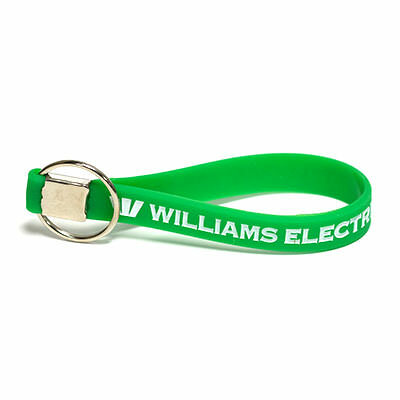 Keychain wristbands are a fantastic way to advertise a business that uses keys often, such as an auto dealership or hotel. 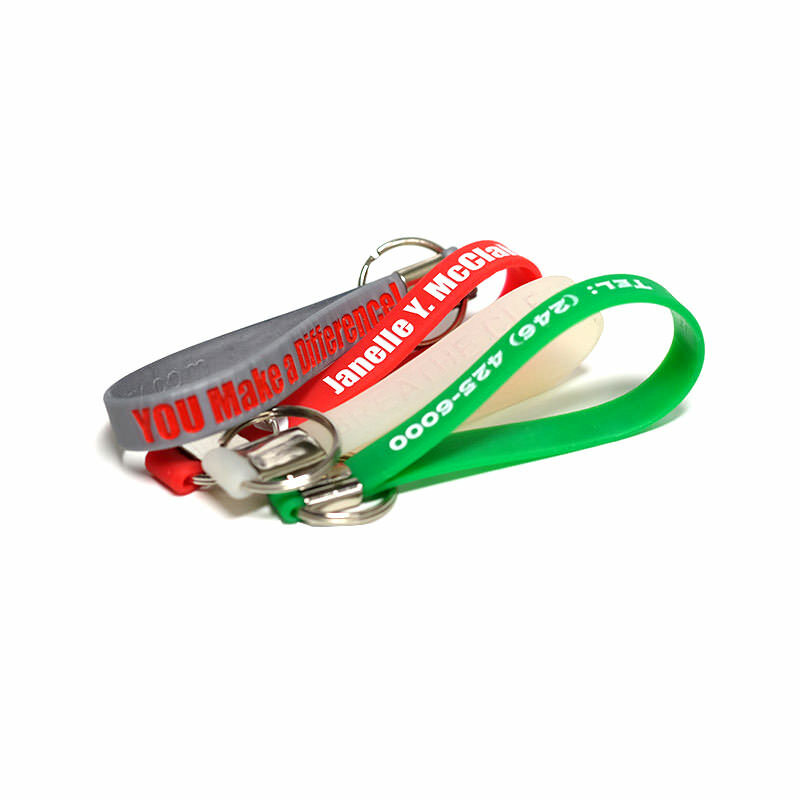 TJM Promos has everything you need to design some great-looking keychain wristbands. 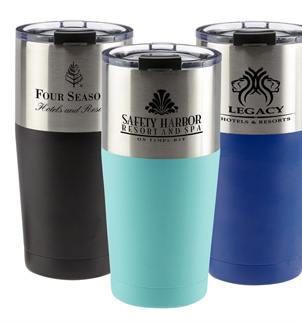 We have a variety of styles and dozens of colors for you to choose from, giving you plenty of customization options. With free artwork, unlimited revisions, and free shipping to anywhere in the continental United States, why go anywhere else? 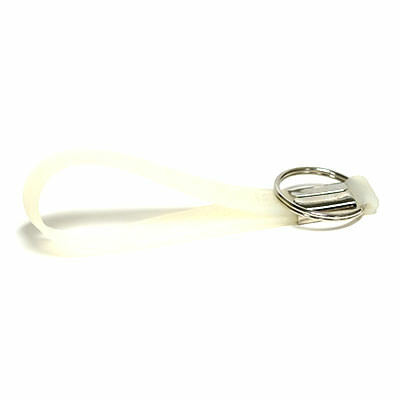 Get your keychain wristbands from TJM Promos today! These are our standard colors if a PMS Color match is requested please tell us in the comment form.